Dumbbells are an old weight training favorite. They have been used for decades in gyms all over, as they have a wide variety of uses. Then there are kettlebells, which are kind of the "new guys on the block," in popular terms at least. A kettlebell is an iron-cast piece of equipment that looks like a ball with a handle. Both dumbbells and kettlebells have their uses, but is one particularly better than the other? Beware: There is no real correct answer to this question. Opinions abound, and much of it depends on personal preference even though you will read elaborate discussions of the pros and cons of each. The good news is that you don't have to choose one of the other because they can be used as complementary tools rather than competitive ones. Dumbbells are tried and true. Also, if you're inventive enough, there are literally hundreds of exercises that you can do with dumbbells. It is not true that dumbbells are mostly used for isolation exercises like arm curls, which only work one muscle or group of muscles. Try doing a set of dumbbell hang clean and presses for a great compound workout. Dumbbells sit nicely in the hand while you are using them. Gripping kettlebells can be a little more challenging for exercises other than swinging exercises. It would be interesting to know if wrist tendonitis occurs more frequently in kettlebell users compared to dumbbell users. You can do swing exercises with dumbbells but you can't safely replicate many dumbbell exercises with kettlebells because of the weight balance and position at the wrist. Some kettlebell enthusiasts will likely disagree with this. Dumbbells are also cheaper to purchase than kettlebells. Kettlebells allow easier training across body planes. The ability to swing kettlebells provides training for muscle groups across planes other than the vertical (sagittal) and horizontal (transverse) planes. However, similar training can be done with dumbbells. Kettlebells provide a better cardio workout because of the extra movement involved in the standard exercises. This may be so, however, if you want true cardio exercise, run, bike, swim, or play basketball; don't rely solely on kettlebells. You can certainly devise dumbbell training that includes a cardio focus as well as strength and muscle. Kettlebells improve "functional strength," which usually means strength that is applicable in everyday life situations. The concept of functional strength has a different meaning for different people, but it should not be limited to one form of exercise or equipment. Functional strength is developed by an appropriated all-round training program, which may include kettlebells, dumbbells, barbells, cables and other forms of training. 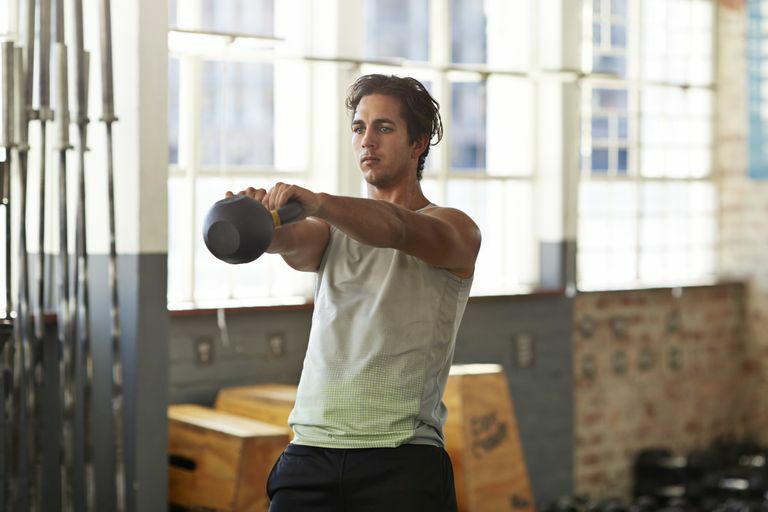 Including kettlebells in your training for variety can be beneficial, but they are not superior to dumbbells or any other weight training equipment when included as part of a wide-ranging fitness program.